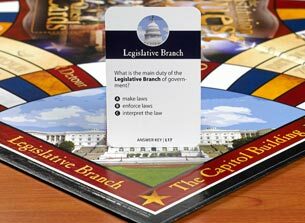 Constitution Quest Contact Info | What's Your Constitutional IQ? "I passed my AP Government Exam because of your game. 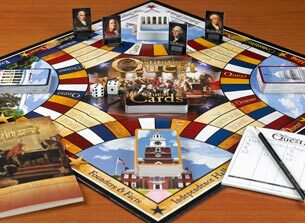 I saw the colorful board in my brain, and I remembered all the Articles and Amendments in the Constitution from the game cards. During the test, I felt so confident as I answered the multiple choice questions and completed the essay portion of the test! It's fun, and you learn, because it's a game." Game review by Bethany B. Talk to the "founders" of Constitution Quest! We would love to hear from you! 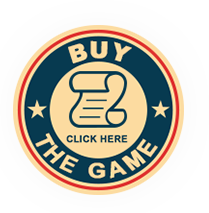 We appreciate your support for our game. If you would like to ask a question, leave a comment, or make a request, please enter it here. 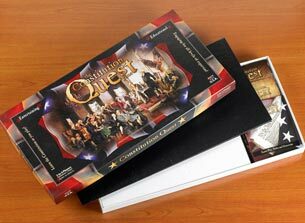 Scholars agree...the American-made Constitution Quest Game is the most fun and easy way for families to LEARN and REMEMBER the U.S. Constitution!